-The Plot is resolved by the end of the show, even though the story continues and they tease us with the new Plot. -Despite my initial warning that Action wasn't the core of this show, it is good when it breaks out with the fights. Cons: That 'cliffhanger' at the end and token trope was...very lack luster compared to the rest of it. -If this show gets a second season, it's going to be a 50-50 in my book based on the 'cliffhanger' of sorts they have at the end of this one. They basically reset the status quo, but update the location. -This is a mystery and intrigue based show. While the action is good, at least 70% of the show is spent with people just talking things out, and straining their brains. That's not what everyone wants to see so fair warning. My Opinion: This was a great show, I looked forward to it every week. It's very rare for a Mystery show to keep me guessing when it presents its clues for the viewer to puzzle over. When it's just a mystery that is solvable exclusively through the abilities of the characters, and not reasoning, it's not a relevant point. 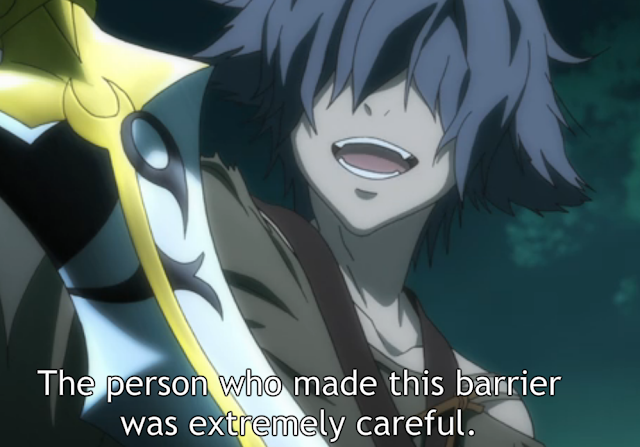 In Rokka however, you are completely capable of solving who the true suspect is as they give you more and more information, before they outright tell you. You have to pay really close attention, and it requires you to reverse engineer something by logic, but it's doable. Unfortunately I wasn't trying to solve the 'how', but rather the 'who' first. While my first candidate ended up being right, I never was sure, right up until one episode before the reveal, and even then they threw a massive spice of doubt in my face. I don't often get that, and it delighted me. The whole point of a mystery is the suspense and curiosity of seeking the answer, so being able to guess it easily defeats the point, at least for me. Impartial Opinion: If you like mystery, or even Human Intrigue, this show is for you and I recommend it. If you're looking for something more action oriented, or even just fast paced, look elsewhere. The pace always stays at about the same rate the entire show, it doesn't particularly accelerate even near the end. Sure, a few more fights break out, and for longer, but even during them the characters continue to talk, puzzle, and worry about what the truth is. That's not to some peoples tastes. Plastic Memories: I F***ing knew it.